A daunting sonic presence accompanies the aura surrounding Atomic Kavemen. Thunderous bass lines feed the Godzilla-versus-Decepticon-like undertow, while foreboding vocal work pulls listeners into a rip tide of power and awe. Forget about escaping. A mean guitar tone and aggressive drumming help round out the desirable radioactive garage metal tendencies, rising to the top of the mushroom cloud. But as usual, you know there is more to the story and the music. Atomic Kavemen paint an ominous doomsday scenario during “Slam Hammer,” especially with the lyrics, “Can’t see them coming but you hear them roar, flattened cities, till no more…slam hammer.” This evil creation could be inspired by the Norse god Thor, perhaps gone mad in exponential dimensions, or maybe the futuristic invasion of the legendary H.G. Wells’ sci-fi classic The War of The Worlds. However you hear “Slam Hammer,” things do not look good for the people of Earth. Meanwhile, the Oakland, California-based band pounds away with a measured pace as the apocalypse unfolds during the original 4:09 track. If comparisons with Atomic Kavemen are to be made, early Danzig comes to mind. But if you listen closely, seamless production and a clear delineation of vocals and instruments convey a more contemporary mix. 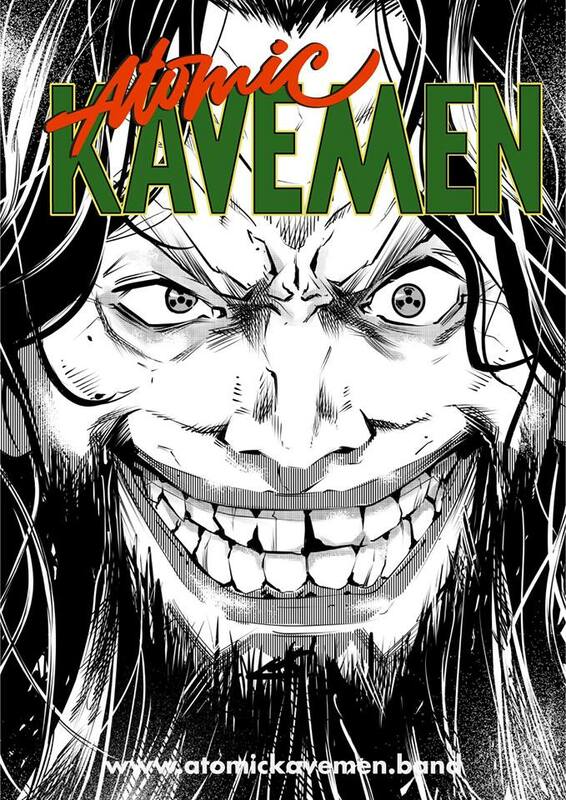 Furthermore, make no mistake because Atomic Kavemen owns a distinctive sound which slyly smiles with wicked delight. Grunge-riddled harbingers of mythical metal, with unique storytelling know-how, is another way to describe it. “Gunshot,” Atomic Kavemen’s 3:10 second single, suggests an edgy, industrial blues approach mixed with an amped Billy Gibbons chaser. The guitar tone is thick amid a rock-imbued arrangement, complete with an expressive vocal performance and a close-fitting rhythm framework. Distortion laden palm muting, string bends and a slower moving tempo add to the bluesy but thoroughly plugged-in 1990s drift. Yet enthusiasts need not get caught up in labels and categories to enjoy the tuneage. A common high voltage thread runs through each of these songs. The project is well-synced and powerful within itself. 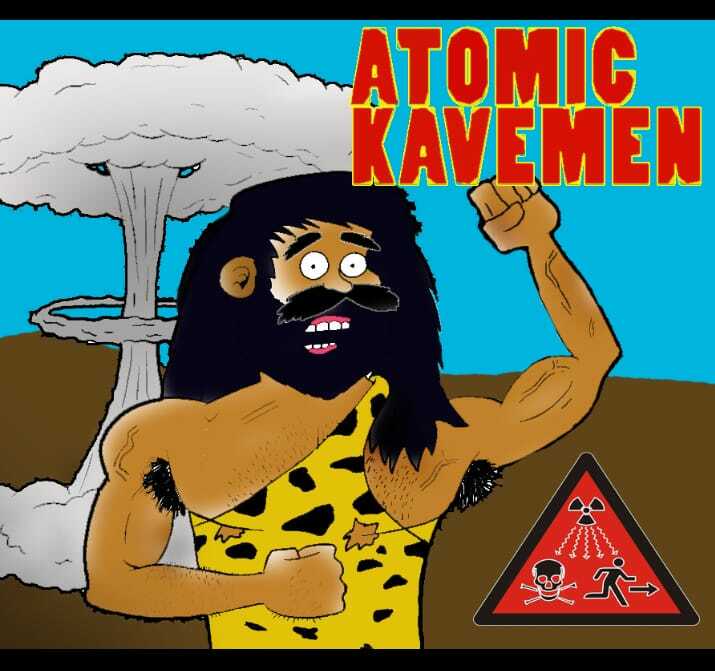 For these reasons and more, Atomic Kavemen deserves attention. In the meantime, listeners will have to be content with just the two music cuts. Atomic Kavemen is Morey Strouse – vocals; James Kilpatrick – guitar, drums; and Todd Solimon – bass. 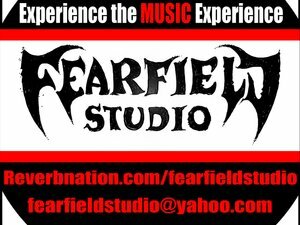 All songs recorded by James Kilpatrick at Fearfield Studio. Atomic Kavemen is a Metal Coffee PR band.